If you are looking for red diesel suppliers in Middlesbrough, you’ve come to the right website. Crown Oil are nationwide red diesel suppliers with depots across the country. This way we can deliver fuel to even the most remote areas, quickly and efficiently. If you need red diesel, diesel, kerosene or heating oil, call Crown Oil and one of our friendly team members will arrange a delivery at a date and time convenient for you. 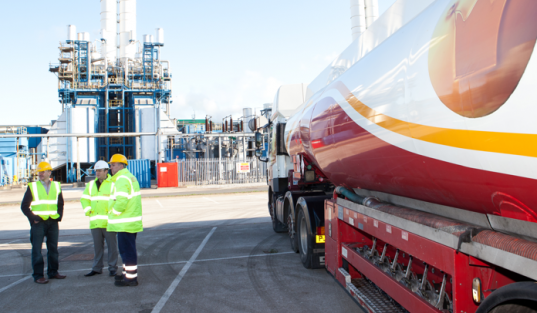 We can deliver fuel in bulk quantities, as well as in 205-litre barrels. We also offer ancillary products, such as barrel pumps, spill kits, etc. Call 0845 313 0845 to place an order today. The town of Middlesbrough sits in North East England. The town is along the River Tees. The town has gone through many changes since it was founded. The most recent change has been to create one large town out of Middlesbrough. The town of Middlesbrough is quite large and is urbanised. The town is considered to be an urban town because it is both large and heavily populated. What is red diesel fuel? Red diesel fuel is fuel that is used for heating homes and offices. Red diesel fuel has a very similar compound to regular diesel fuel. Red diesel fuel is so close in chemistry to diesel fuel one would use in a vehicle that many people try to use red diesel fuel in a vehicle. However, the use of red diesel fuel in vehicles that are driven on the highways and roads in the United Kingdom is strictly prohibited by law. The reason being is that the United Kingdom has a different tax on the red diesel fuel than diesel fuel one would use for a vehicle to be driven on the highways and roads. The tax on regular diesel fuel is much higher than the tax on red diesel fuel. There is a red dye added to the diesel fuel that is used for heating homes and businesses. This is so that law enforcement in the United Kingdom can tell whether, or not someone is unlawfully using red diesel fuel in a vehicle. How can I get red diesel fuel in Middlesbrough? Only someone who holds a license can obtain red diesel fuel in Middlesbrough. If a person has a license the person can simply call a red diesel fuel supplier and request them to send a truck out to the person’s home. What else can we help with? By submitting this request you agree to Crown Oil Ltd & members of the Crown Group processing your personal data AND sending you marketing information by email. For more details see our Privacy Notice. To unsubscribe to marketing tick here.